A performance recovery shoe for trail running disguised as a light weight flip flop. RX Break helps your feet recover from the end of your run or stroll in total comfort. RX Break begins with an ultra cushioned midsole using Salomon's oversized muscle and tendon system to help tired feet recover. Add a 360 degree wrap of the strap and footbed for performance and all day comfort. The breathable strap remains comfortable whether going for long walks or relaxing. 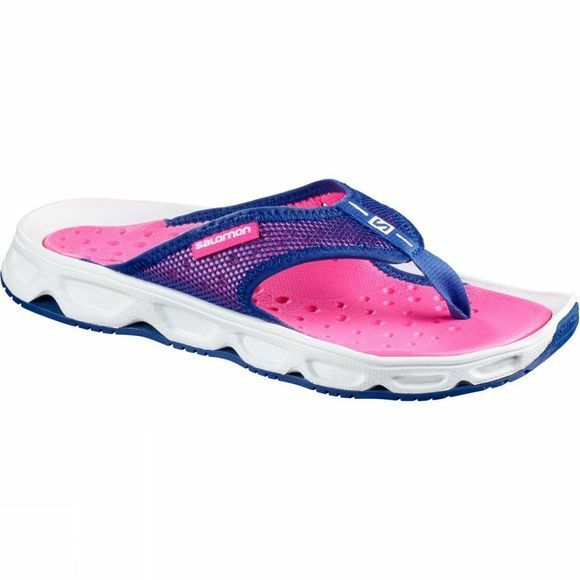 It may look like a mild-mannered flip flop, but it's really a shoe that helps you recover after the longest most grueling trail runs.